Hotel 1000 | Cary Kopczynski & Company, Inc. 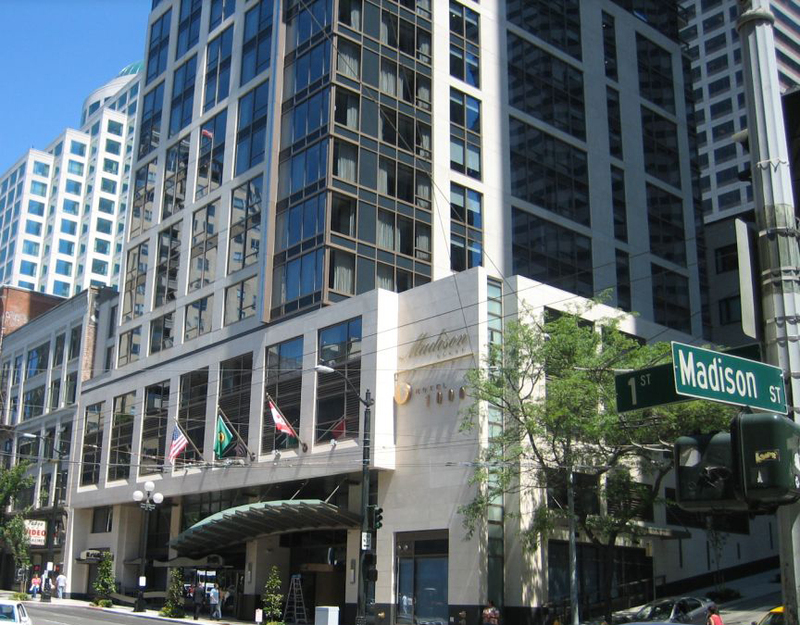 This 25-story tower is the preeminent downtown Seattle hotel and residential address. 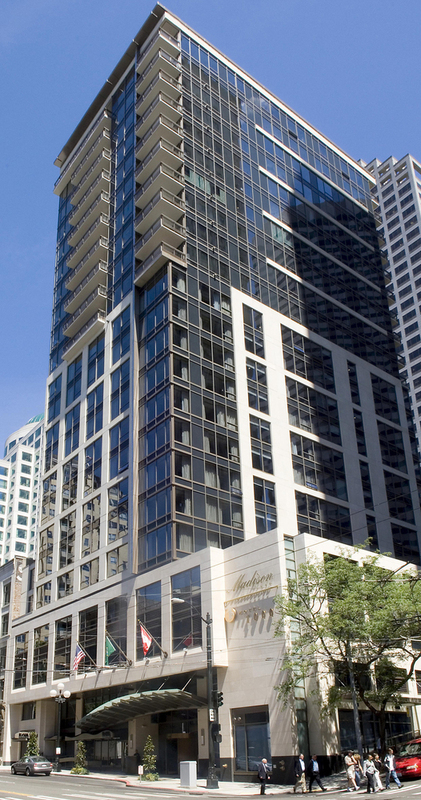 The building includes a luxury hotel in the lower levels with residential condominiums above. Subterranean parking includes vehicle elevators in lieu of ramps for optimum design efficiency. The structure is framed with cast-in-place concrete, using state-of-the-art ductile shear walls and hybrid slabs. A unique system of column offsets provides a lateral column shift of up to four feet between the tower and garage, without transfer beams.